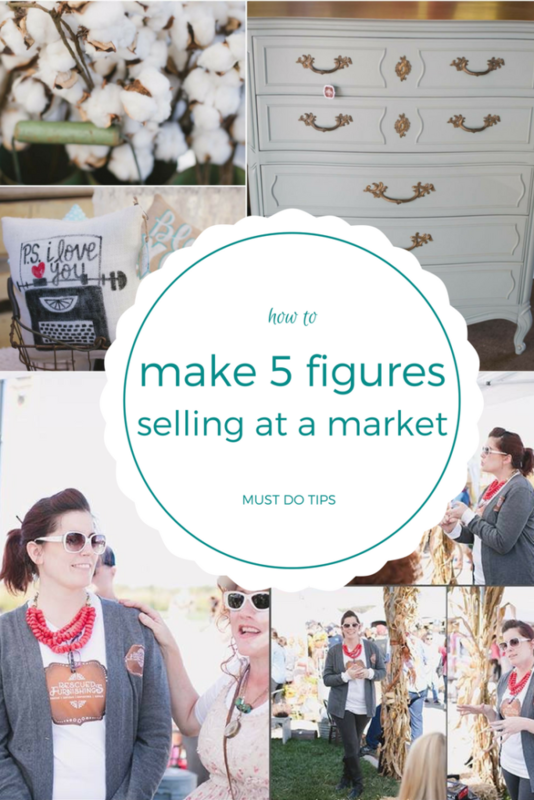 Selling in a booth at a market and make FIVE figures! Selling at markets are not for the faint of heart. It is HARD work! A local market called St. Louis Vintage Market Days is happening April 13-15. This post was born out of my 1 year update from leaving the corporate world behind. That’s right, I quit the corporate world! With my FULL BLOWN Mid Life Crisis a year behind me I feel like I may be able to offer useful advice. 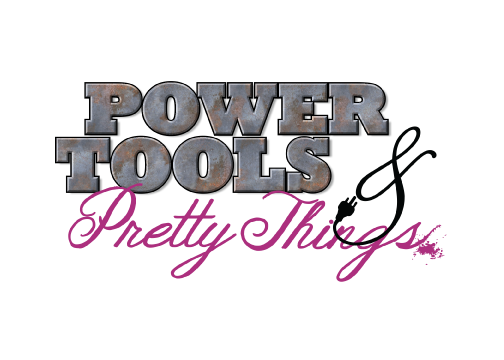 I went from being a Systems Engineer to being a designer, painter, DIY educator among 50 other things. I encourage you to read the back story and the 1 year update to truly get to where I am today and understand the advice. I was at one of my lovely client’s homes a few weeks ago working away. While there I was removing all of the cabinets, removing the hardware and making stacks to carry out to my car later. I turned my back and somehow a few of the doors come FLYING off the counter. I 100% focused on saving the doors. Stuck my leg out, did a ninja move and got the doors safely all the way to the ground. So when I went to pick them up, these lovely gouges were underneath them…. 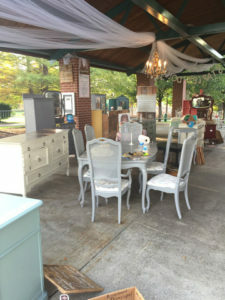 We own Rescued Furnishings in St. Louis, MO. You can find us on Facebook or our website. We sell antique and vintage furniture and also do custom orders. We paint, stain, refinish, and re-purpose furniture and kitchen cabinets. Along with all of that we sell amazing paint products and hold DIY classes AND we are expanding our small business into wall finishes!